Robert Kushner's solo exhibition at the Kansetsu Garden and Museums in Kyoto, Japan coincides with the museum's celebration of the 400th anniversary of the Rimpa School of Art. 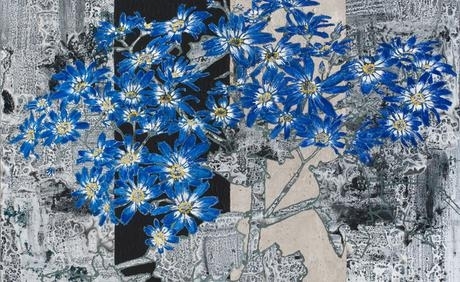 Kushner's exhibition will include a large scale installation piece, Camellias and Cacti, painted on transparent fabric and measuring 12’x 42′, which hangs freely in the middle of Kansetsu’s Atelier. It will be exhibited along with a selection of five major works on canvas. The Kansetsu Memorial Garden and Museum is one of Japan's oldest museums.